Frankie (and I!) 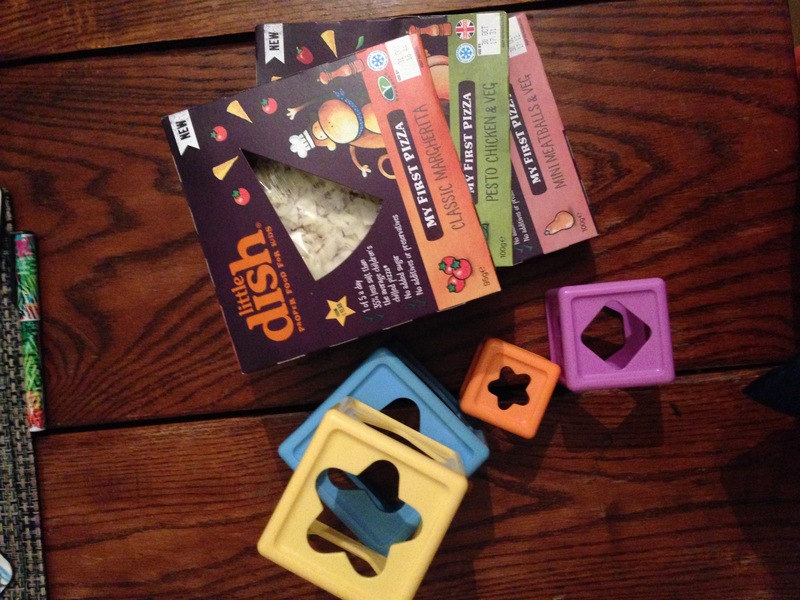 recently tried the Little Dish My First Pizza range, the first healthy pizza for toddlers, and they’re clever little things. Blended carrot puree goes into the base, providing one of your little ones five a day plus this makes them soft and easy to eat too. 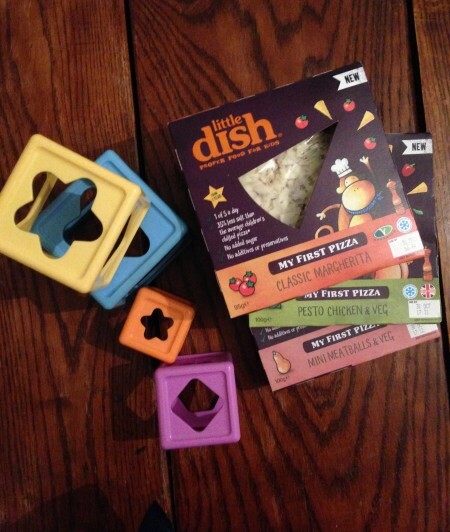 Little Dish My First Pizzas are made of 100% natural ingredients and contain 35% less salt than the average children’s chilled pizza (compared against the average salt content per 100g). They have no added sugar, additives or preservatives. 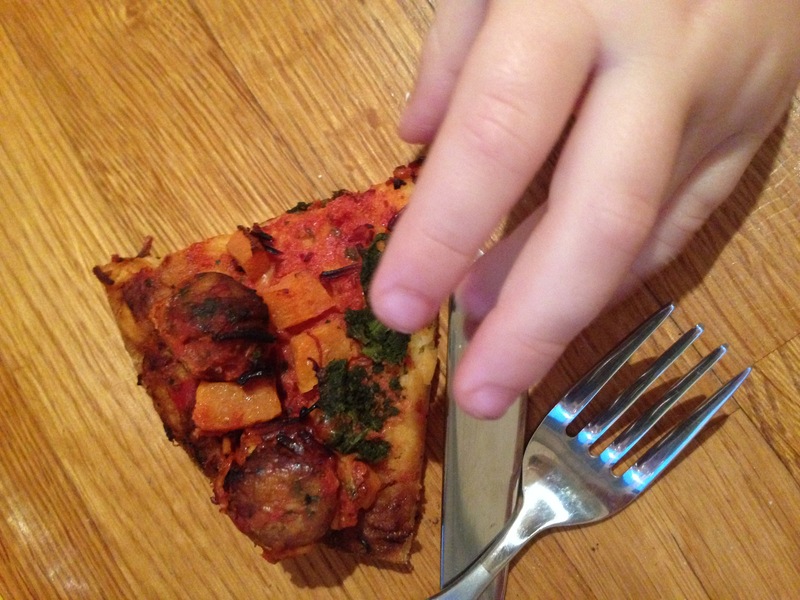 Veg portions are based on a child’s 40g portion size and the fat content is 4.6g per 100g. 13-17 minutes from chilled and 17-18 minutes from frozen. 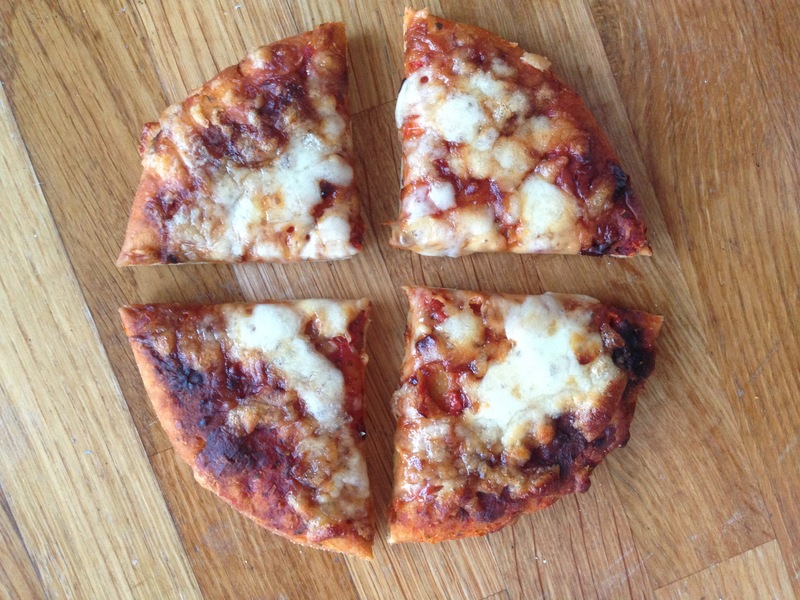 The only negative I found was that, whichever flavour pizza I cooked and although I followed the instructions to a T; watching it from the minimum time onward, the pizzas did burn a little (evidence below). I’m not sure why this is so just beware this could happen and adjust the cooking time accordingly. I found I actually needed less than the minimum time, with 11-12 minutes being ideal. Just ensure it is cooked throughout and then left to cool. This is therefore a dish you can prepare in advance and won’t be that quick fix ‘get-in-into-your-childs-mouth-before-they-have-a-meltdown’ solution. 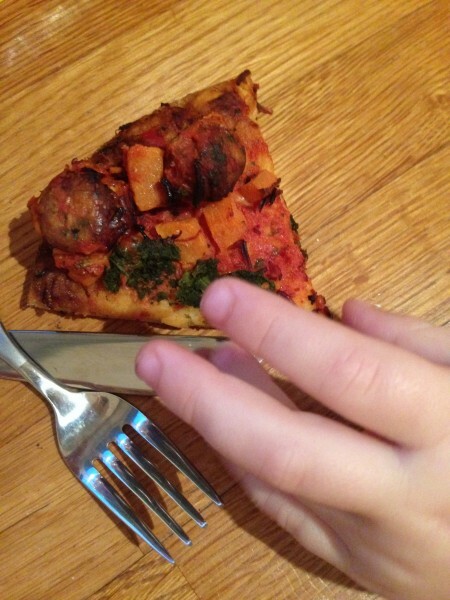 Frankie’s clear favourite was the Mini Meatballs and Veg, with tomato and veg passata hand-topped with British beef meatballs, bite-size pieces of butternut squash, spinach and grated mozzarella cheese. With the others, Frankie happily at half which I thought about right for a 2.5 year old, plus they keep really well and still taste good cold or the next day. 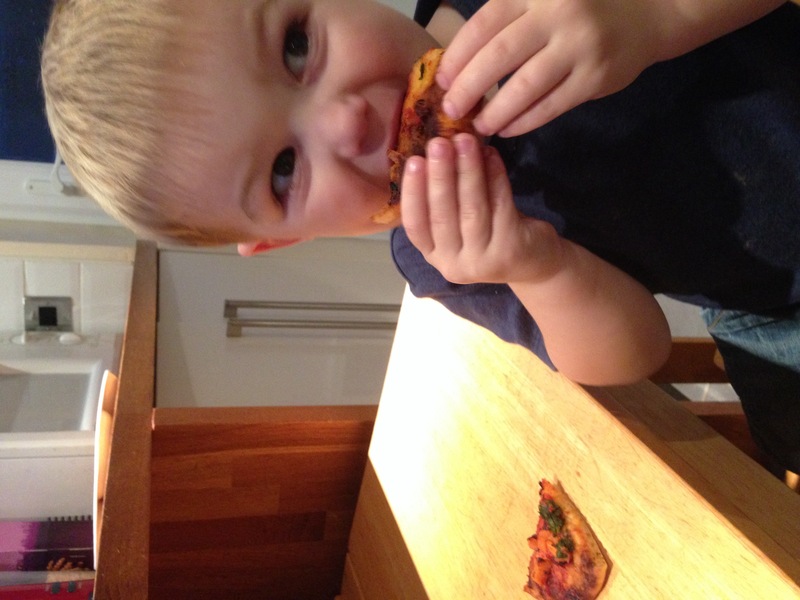 However, the mini meatballs pizza won him over entirely and he scoffed the whole thing! 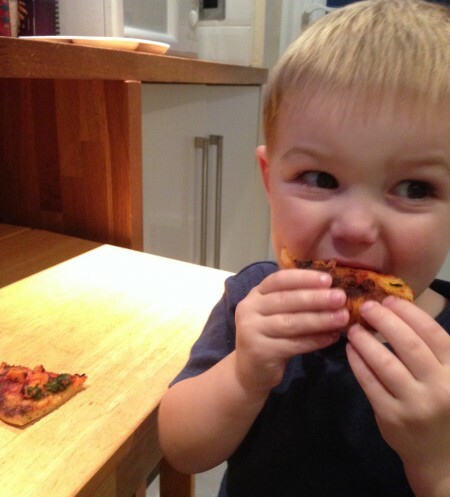 I also liked the pizzas for myself…well you gotta try them out as a means of knowing what your child is eating right? Chocolate works in the same way 😉 They taste exactly how the should, with each ingredient used being evident in its natural, wholesome flavour. I personally love how nutritious and low fat they are, counting them as a tasty snack for myself and satisfying my pizza cravings yet without the side of guilt, so now we’re stock piling! I also think they’d be great for kids parties since they’re fun to look at and eat while ticking all the healthy and sugar-conscious boxes. My First Pizzas cost £2.50 each. You can buy Little Dish from many good supermarkets including Waitrose.